““I am a collector of hopes and peregrine truths, a shepherd of thoughts, ideas, projects and dreams too important not to be realized. I’m an abstract concept that has no body, no smell, no boundaries, no shape and no color. I wanted to enjoy Omnilogos…and I did! I received a sample from Amitrani so that I could decide if I wanted to continue reading the book and I’m glad that I was given such an opportunity. But do I still have complaints? Well…I’m afraid so. Omnilogos lacked characters. Now, there were obviously characters in the story, but they weren’t developed. I don’t mean “I read about their daily lives but they made no changes,” but more “I only knew them at face value and never felt connected to them, even the main character.” The novel started off with character building and I loved it. It was one of the reasons why I wanted to continue the book, Wei sounded really cool and I wanted to know more about him, and any of the other characters, on a more personal level. I wanted “the world of the Omnilogos,” not just the outside glimpse of it. I still liked each character, with their interesting and unique personalities that shone in their dialogue and conduct. I also sort of understand why I didn’t receive the in-depth view that I was hoping for, but I still found myself wishing there was more character building. The reason, as I said, was because of the research. Wei has amazing goals, he is truly shooting for the stars (heehee), and I congratulate Amitrani for doing their research on all that was needed in Omnilogos. But it was overwhelming. Pages and pages and pages of paragraphs of research. Make no mistake, it wasn’t like reading a history book when you have no interest in history, what I was reading was intriguing and necessary, but it was, nonetheless, very heavy. I craved more dialogue when the information was extremely dense and went unbroken, it was borderline tedious, but at the same time, I wanted to read it. I’m attempting to not contradict myself (even though I might have already) because I appreciate that Amitrani took such time and energy to include such specific research. My experience as a reader was much more fulfilling because of it, but it was still sometimes very difficult to get through it, no matter how interested I was in the knowledge. Would I Recommend Omnilogos? 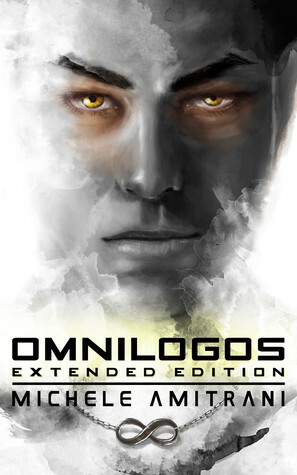 All things considered, I liked Omnilogos and I would recommend it to readers who enjoy science fiction, interesting research information, knowledge in general, and a healthy plot.